One of the great things about fly fishing is the versatility. You have the flexibility of fishing larger streams (or rivers) with open casting or smaller “runs” or brooks with tighter casts. 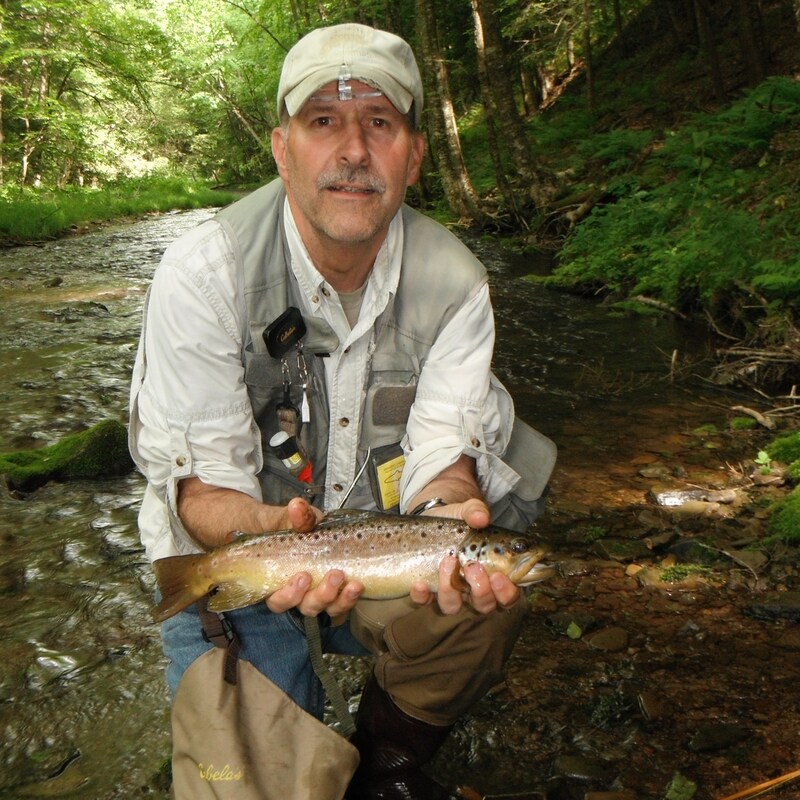 Using the “Trout Streams of Pennsylvania” guide by Dwight Landis, Ron Hill and I like to explore different streams during our Pine Creek vacation giving us more options when thunderstorms stain Pine Creek. Last year we added Lyman Run to our list and the West Branch of Pine Creek this year…..fishing in the wild trout sections.. Both of these streams are in the Susquehannock State Forest. Tim Brookens, Ron Hill and I decided to fish Lyman Run on our last day of vacation to go after Wild Browns and Brookies in the 8-10″ range as Landis’ guide refers to. But, every now and then you get surprised with a fish or two you just do not expect. After several fish caught or lost in the 13-14″ category and a 17″ Brown (see picture above) landed, Lyman Run is officially on out “hot spot” list. We won’t be surprised about the quality of fish the next time!